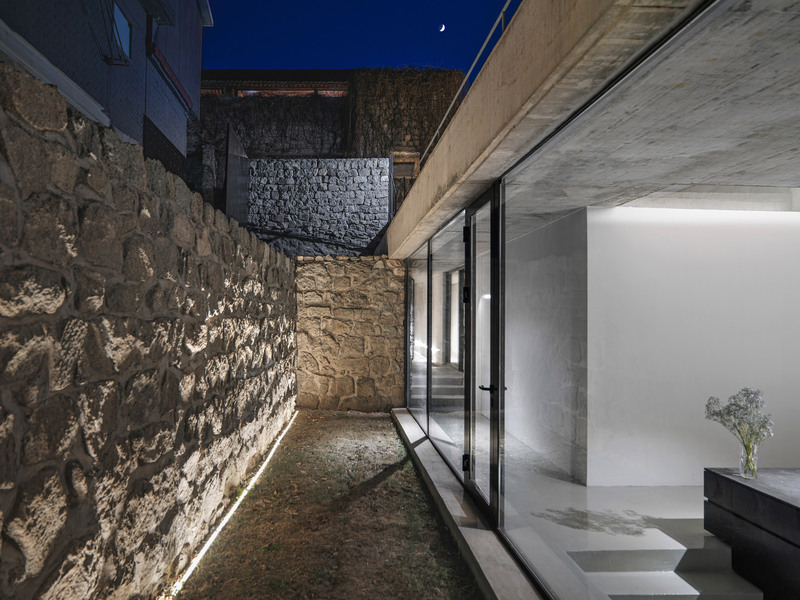 The extension – which is aptly titled House on the Great Wall – has contemporary living spaces set amongst aged stone walls. 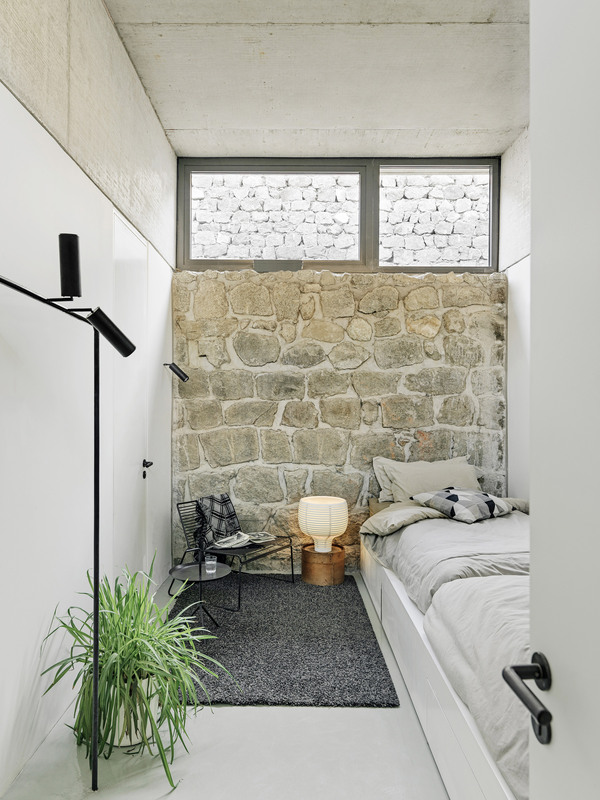 The architecture studio preserved the storage unit’s walls that are inlaid with rough chunks of stone, while adding windows to give the building ample access to natural light and views of the hilly terrain. 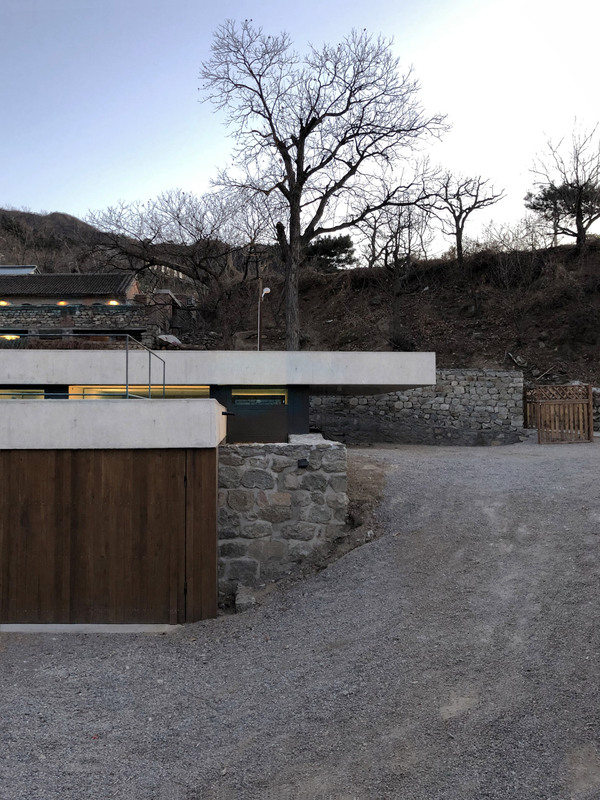 With this in mind, the studio carved out a short tunnel to connect to the two buildings, then created a new roof for the extension. “The different heights of the roofs are also responding to in the terraced degradation of the plot [of land],” explained the studio. 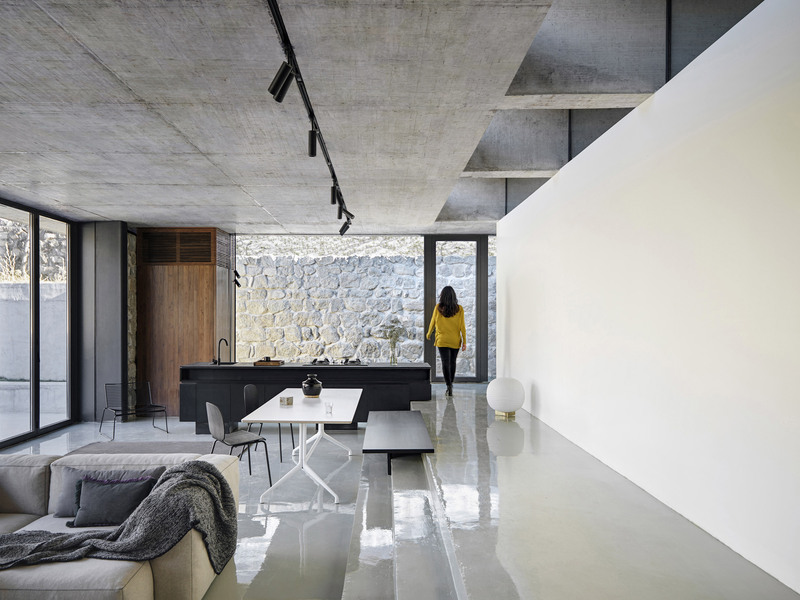 Each slab has also been designed to sit slightly short of the building’s original structural frame to form a pair of outdoor courtyards on either end of the extension. One of the building’s stone walls has been removed and traded for an expansive glazed panel that opens up views of the outdoors. Directly behind sits an open-plan living and dining area, which has been dressed with neutral-toned furnishings and a funnel-shaped wood burner that distends from the ceiling. 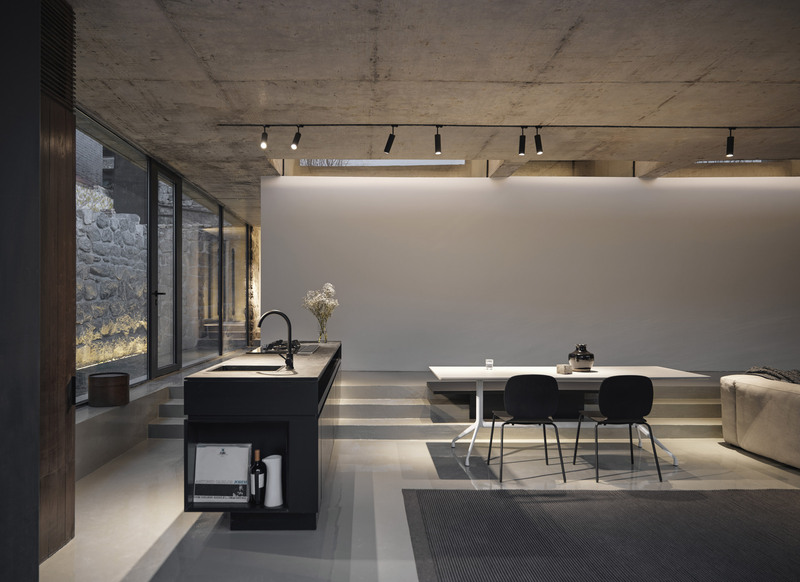 The kitchen simply comprises of a jet-black breakfast island with an in-built stove and sink. Although a majority of the extension’s walls have been completed in white plaster, a touch of warmth is provided by a timber-clad partition, which backs onto the home’s garage. “The main focus was on the warm beige colour of the existing stone wall. 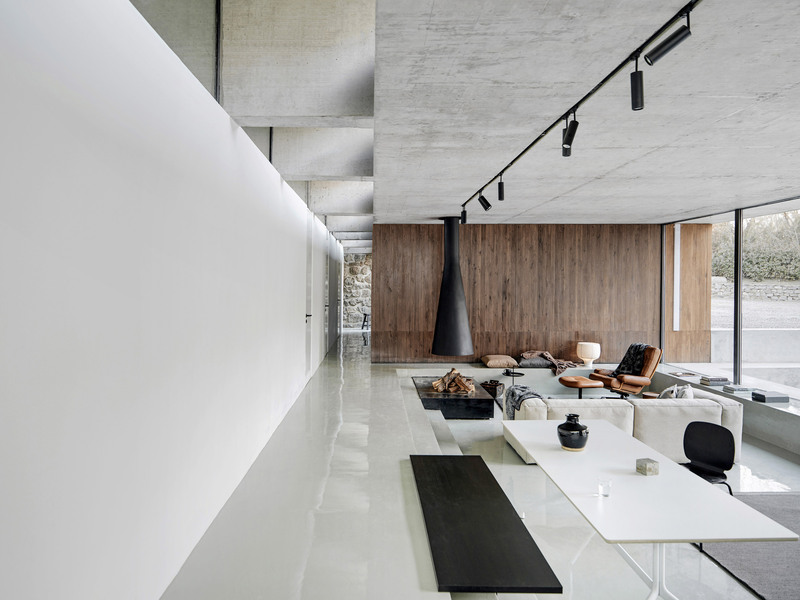 Therefore the new intervention uses monochrome surfaces of white, grey and black as primary colours,” Momo Andrea Destro, co-founder of the studio, told Dezeen. Three short steps lead up to a walkway leading to the sleeping quarters. Each bedroom has been finished in a similarly pale colour scheme and has its own ensuite. 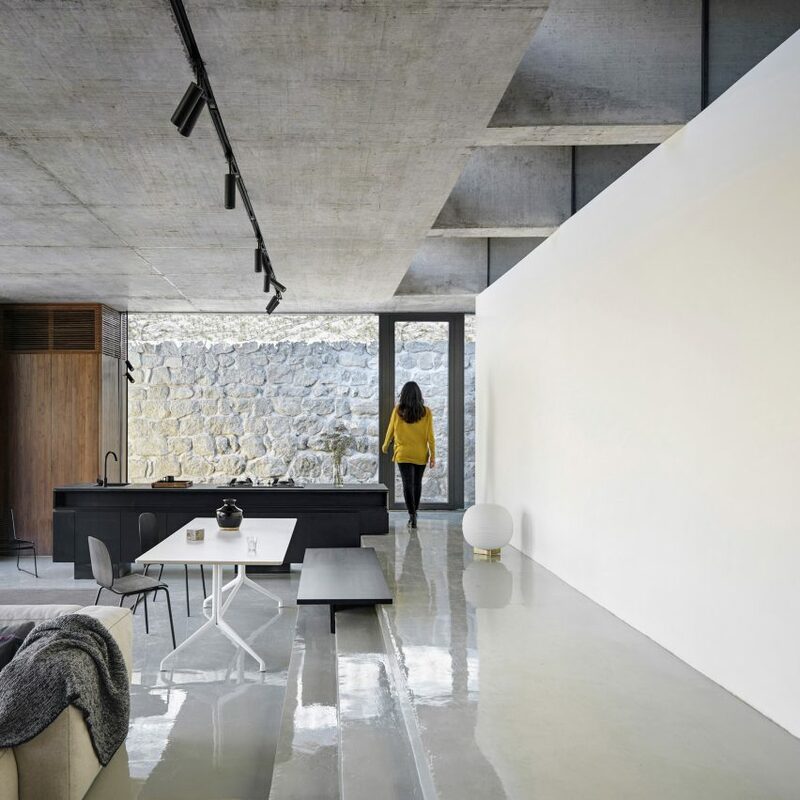 The windows in each room have also been inserted just below the ceiling line, detracting views away from the landscape – the studio hope’s this will instead inspire a “contemplative feeling” amongst inhabitants. Headed up by architects Destro and Margret Domko, MDDM Studio has previously created a white-painted office with primary colour furnishings and a pizzeria with grey terrazzo surfaces. It isn’t the only studio to be working near the Great Wall of China – earlier this year Open Architecture unveiled plans to build a concert hall near the historic site, which will be shaped to look like a “strange and prehistoric boulder”. 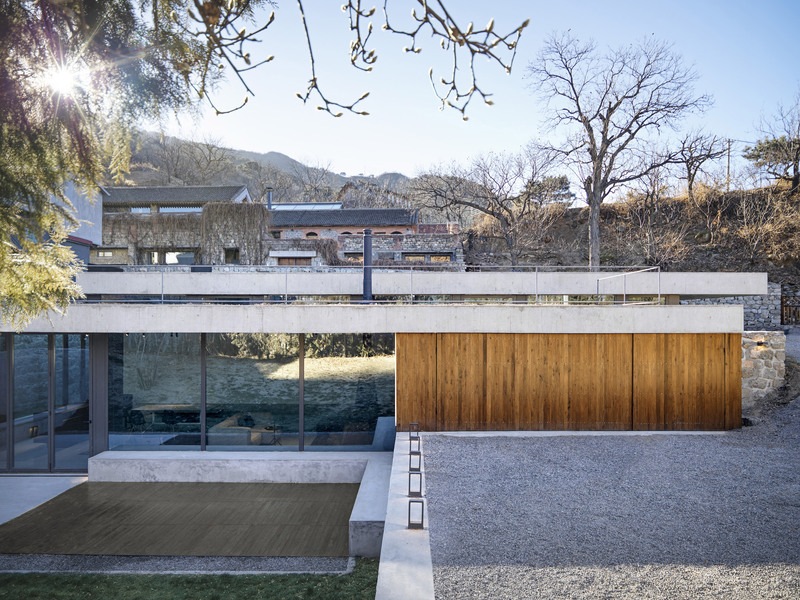 The post MDDM Studio completes House on the Great Wall in China appeared first on Dezeen.